A Solarmax ll 60 BF15 H-alpha scope was mounted on an iOptron Cube Pro AZ mount. 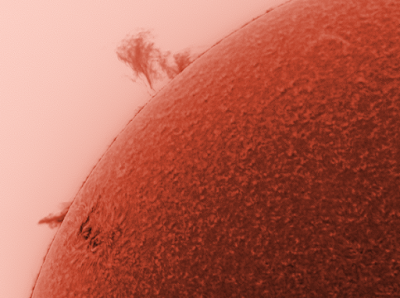 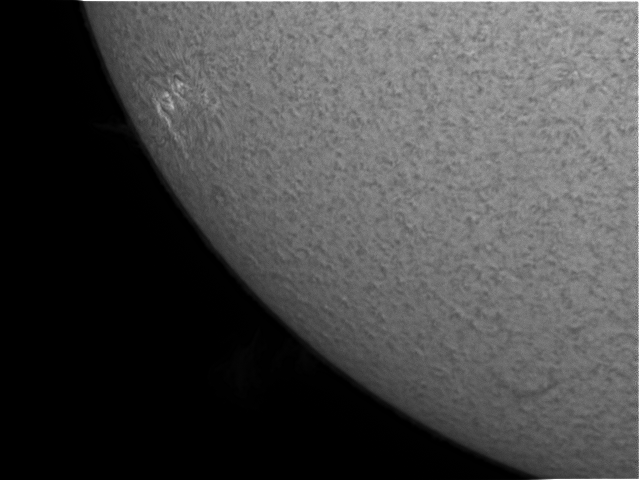 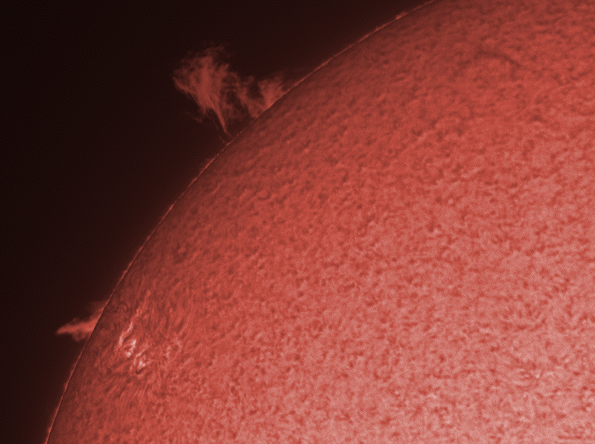 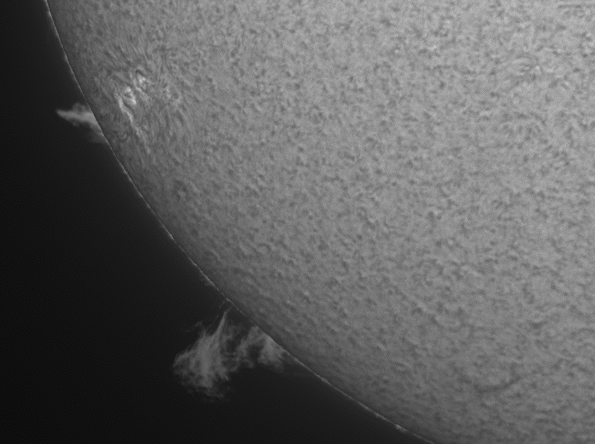 A DMK fitted with a 2x Barlow was used to capture images exposed for the prominence and exposed for the solar disk. 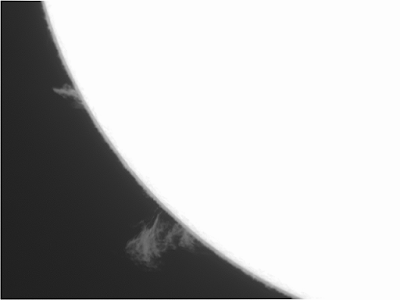 The images captures were made using Nicola's AstroDMx Capture under Fedora Linux. The images were stacked in Registax running under Wine, post processed and combined in the Gimp 2.9.